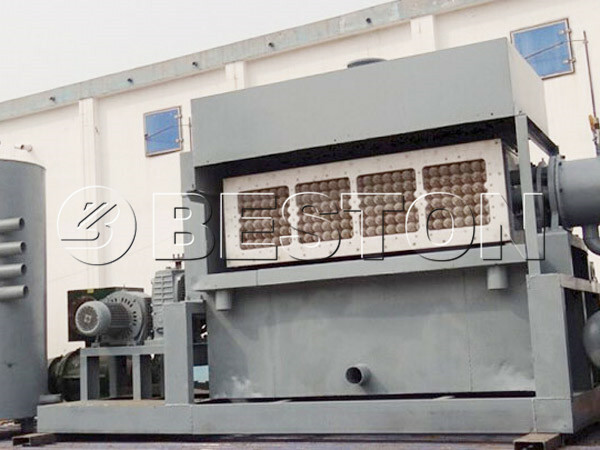 What Are the Raw Materials of the Egg Trays and Egg Cartons? 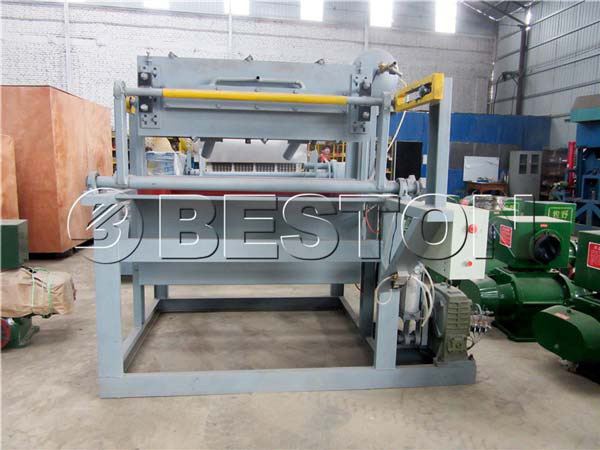 Are you interested in investing egg tray making machine? 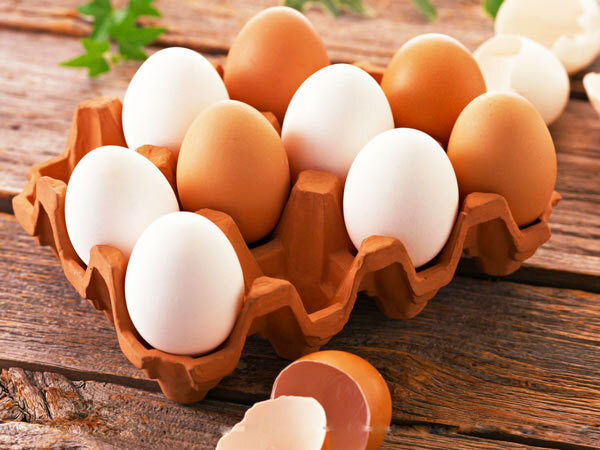 Do you know the raw materials of the egg cartons and egg trays? Today, I would like to talk about them. There are plastic egg tray and paper egg tray in the market. As we all know the paper egg tray is more environmentally friendly than the plastic egg tray. So, the paper egg trays are popular with the users. 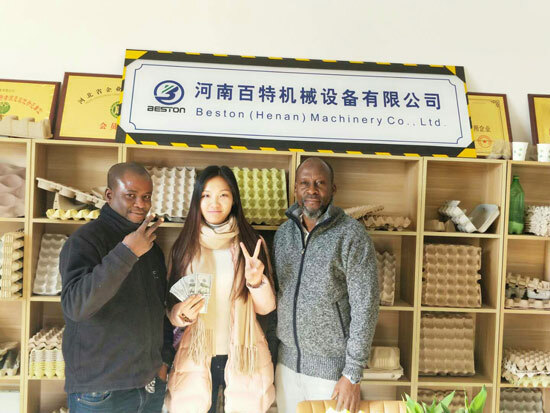 For the investors, you can choose the paper eggs tray machine which can bring you great benefits. 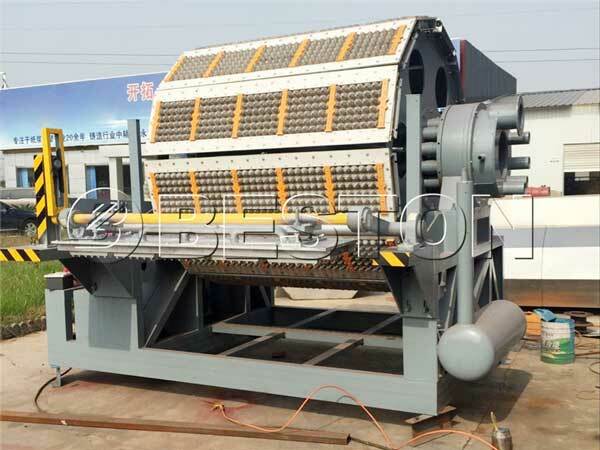 The raw materials of the paper egg trays and paper cartons are water, waste paper and additives. 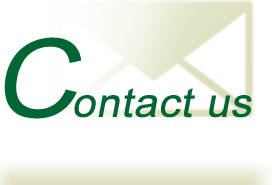 The raw materials are simple and available. The waste paper can be old newspapers, old books, old hard paper case, waste paper cup and so on. 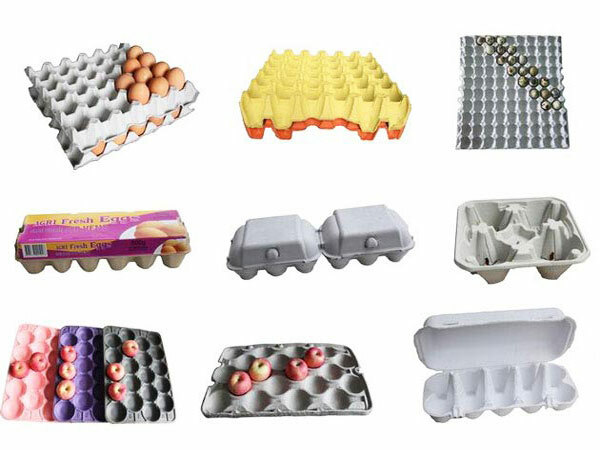 We use the waste paper to produce egg trays, egg cartons. It is a very eco-friendly way. Also, we turn waste into wealth. Then, the additives are pigments and glue. 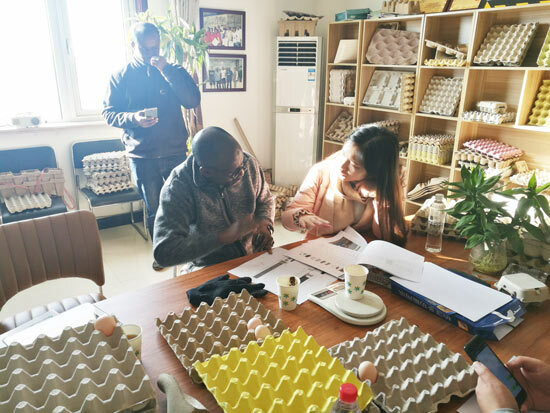 You can produce all colors of egg trays and egg cartons, such as blue, pink, white, green, yellow and son on. It is a very interesting thing. We can add the glue to make the egg trays be waterproof in the producing process. 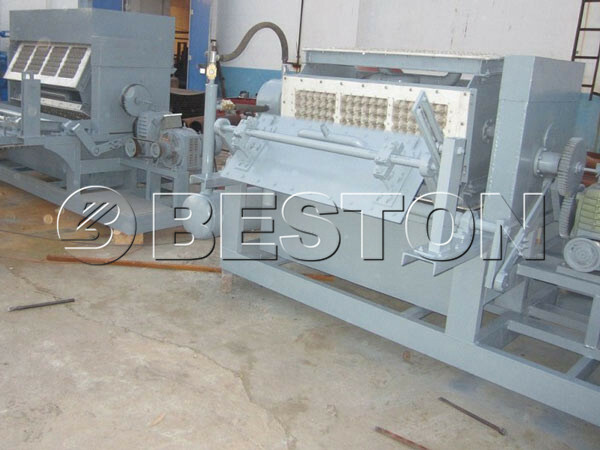 We also have egg carton machine for sale. 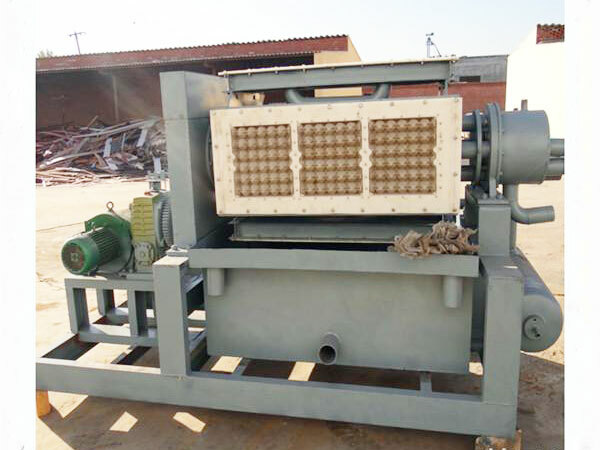 The Nigeria customers would like to buy 2500pcs egg tray machine. 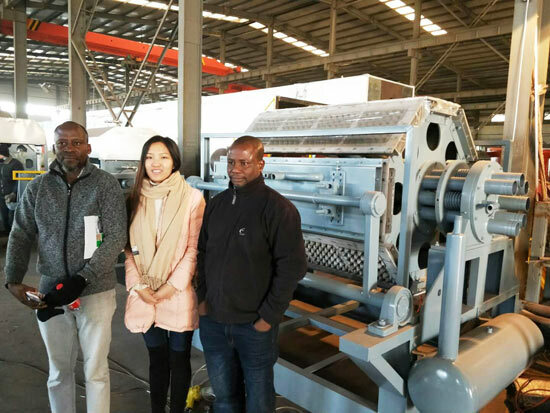 Through visiting our factory and discussing the details about the machine, they know we are a reliable cooperator. So, after their first visiting, they decided to pay the deposit firstly. 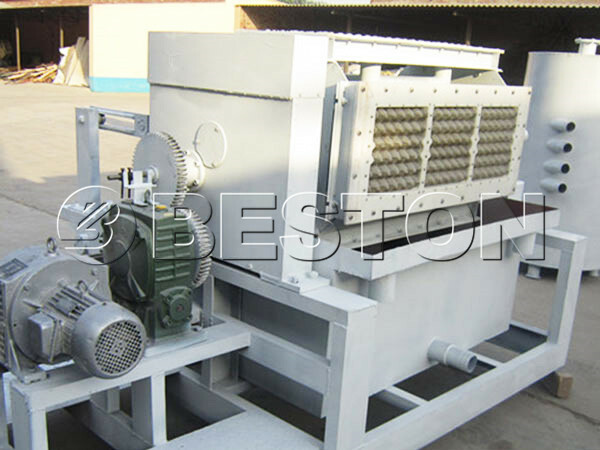 We Beston Machinery can customize egg tray making machine according to your requirement. 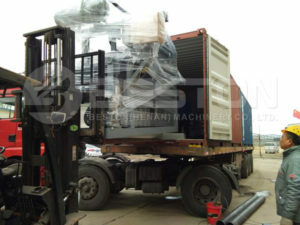 So, if you want to buy the machine, contact us! 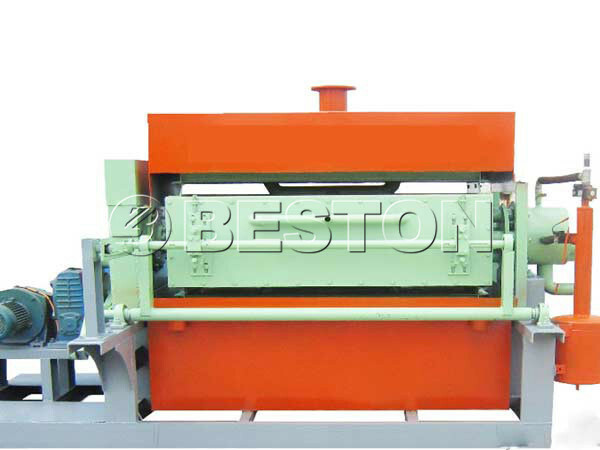 What are the Details of the BTF-5-8 Paper Egg Tray Making Machine?